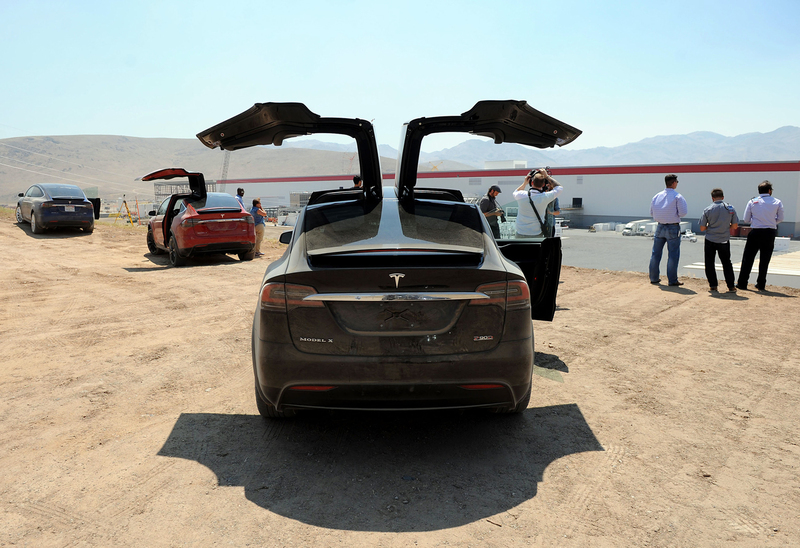 Members of the media tour the Tesla Gigafactory which will produce batteries for the electric carmaker in Sparks, Nevada, U.S. The Moscow-based company Cognitive Technologies is offering an intelligent system of autonomous driving that will be on the international market next year. The recent accident involving a Tesla driverless car offers a chance for Russian developers to muscle in on the market. The Russian company Cognitive Technologies has developed C-Pilot, an intelligent autonomous driving system that can be installed in cars and other vehicles. The company told RBTH that the technology will be embedded in international automakers systems starting next year, and bulk deliveries of C-Pilot will start in 2019. The Russian developers said that gaining access to world markets was a direct result of a fatal accident with a Tesla car that ran on the autopilot system developed by the Israeli startup, Mobileye. That company and Tesla recently announced the end of their partnership. "Leading automakers that previously collaborated with Mobileye are considering alternative proposals about equipping their cars with intelligent driver-assistance systems," said Olga Uskova, president of Cognitive Technologies. "By 2022, we plan to have about 3 to 5 percent of the world market of autonomous driving systems." Are driverless cars the next frontier in crime? C-Pilot includes a set of sensors to guarantee the recognition of a wide variety of objects in road infrastructure. The system is also equipped with a high-accuracy positioning sensor based on GLONASS and GPS. Tests were carried out on a prototype of the Nissan X-Trail car. "Our main competitive advantage over foreign companies is the more advanced artificial intelligence that allows the autonomous-driving system to work well even in bad weather conditions, as well as on bad roads when street signs are missing and the road surface is damaged," said Yury Minkin, director of the unmanned vehicles development department at Cognitive Technologies. Total investment in the project will amount to about 750 million rubles ($11.6 million) over the next three years, of which about 360 million ($5.6 million) has been invested to date. In addition, the Russian government has invested 45 million rubles ($697,000) in the project. The company plans to soon complete features that will warn the driver of situations on the road, including Line departure warning, Traffic sign recognition, and Forward collision warning. In the second stage, in 2018, the active driver assistance system will be implemented, and in the third stage, 2018- 2022, developers will finalize those technological components that enable autonomous movement in certain modes; for example, in traffic jams or on motorways. The project's final stage will be fully automated movement.